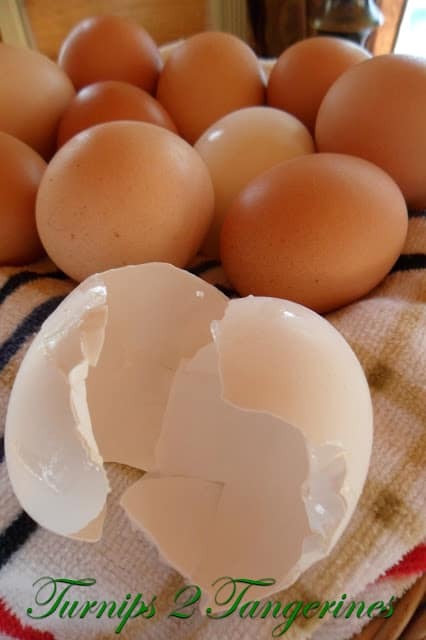 Farm Fresh Eggs vs Store Eggs that is the question that is up for debate today. 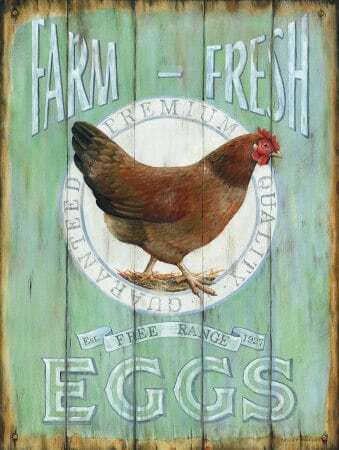 I love farm fresh eggs and use them always. Living up north in Wisconsin, I’m lucky enough to have access to farm eggs. That wasn’t always the case though. When we moved up north ten years ago we didn’t know anyone who sold eggs but once we put the word out, we now have several sources for eggs, honey, maple syrup and meat. I’m trying to find a good source for some wild rice too. All that being said, there is nothing wrong with store bought, nothing at all. But whenever possible, fresh is best. That’s really a good motto to cook anything by! There is nothing better than Farm Fresh Eggs. Fresh eggs not only taste better, they look better. 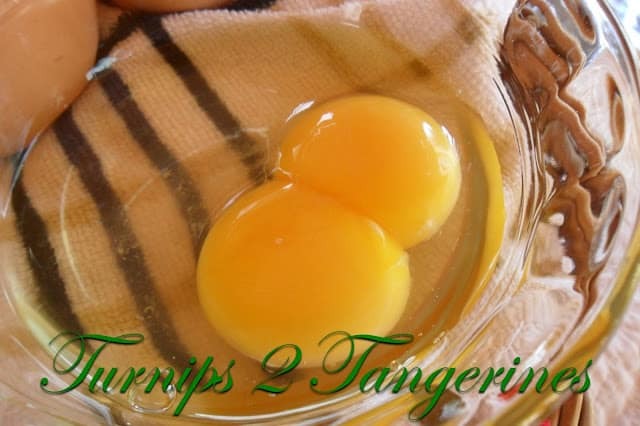 Many farm fresh eggs have double yolks, which is an added bonus. 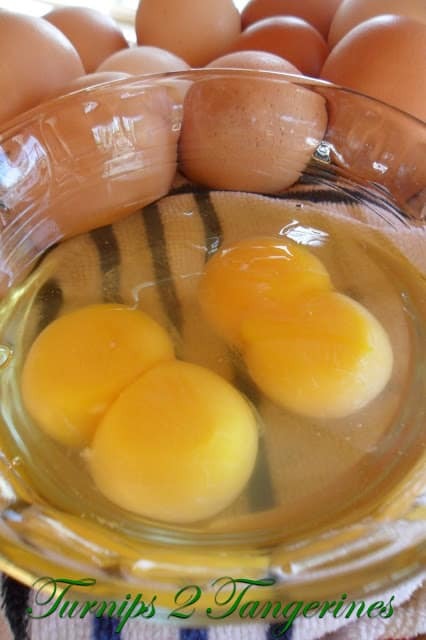 When using farm fresh eggs with double yolks, you should consider them as extra large eggs. 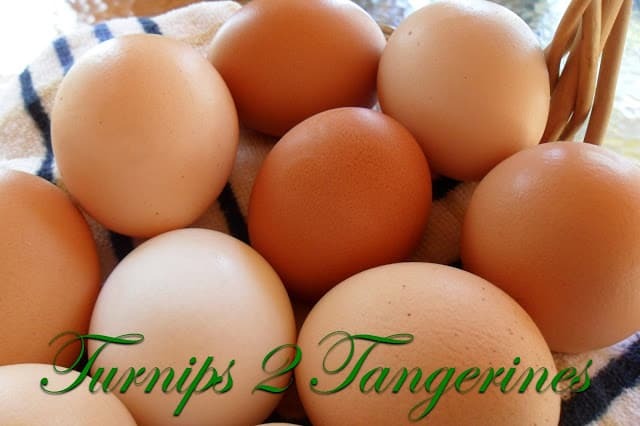 Here are a few egg recipes you’re going to want to try using farm fresh eggs or store bought eggs, the choice is up to you. Easter Egg Bread, Egg White and Pesto Omelette and Egg Salad Sandwich. 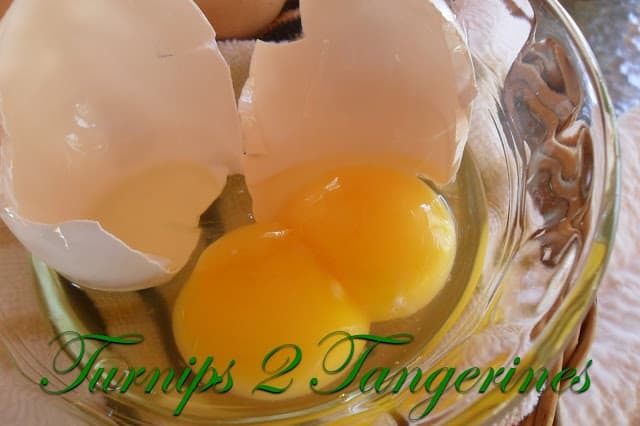 Fresh eggs make a huge difference in recipes. Meringues, souffles’, omelets, pancakes, and deviled eggs. 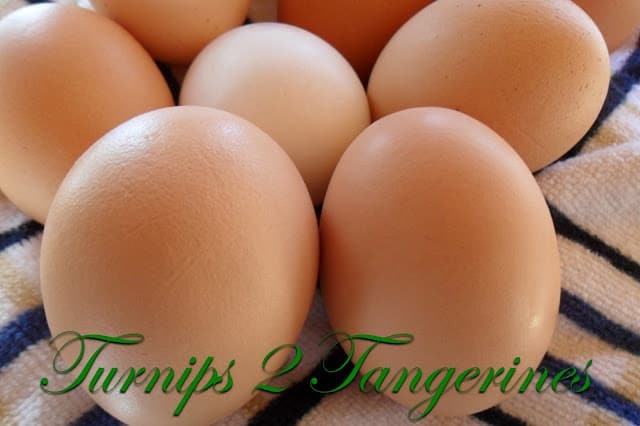 Everything you make or bake will taste better when using farm fresh eggs. You will definitely notice the difference. Meringues will whip up higher, soufflés omelets and will bake up fluffier. As far as deviled eggs go, well buy some farm fresh eggs and let me know what you think! Fresh eggs usually cost less than eggs you buy in a grocery store too. I pay $1.25 to $1.50 for a dozen of farm eggs. 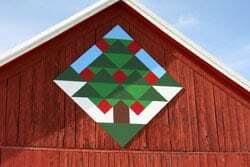 The next time your taking a drive through the countryside, looking at the many beautiful Barn Quilts in your area, stop at the farm when you see the familiar “Eggs For Sale”sign in the yard. Pick up a dozen or two. You, your family and your recipes, will thank you for it. 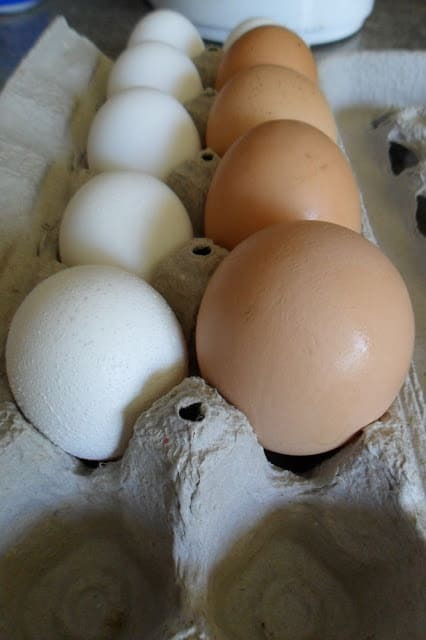 Look at the difference between store eggs and fresh eggs…. Can you guess which is which?? Do you know where I can get that green sign? So true!! We had chickens all growing up and farm fresh eggs are the best! We have been trying to get it passed to have chickens in our city, it would be nice to have them again! Thanks again for stopping by my blog! Have a great weekend! I have an ever ready supply of Farm Fresh Eggs from Dejong Acres. There is a difference.